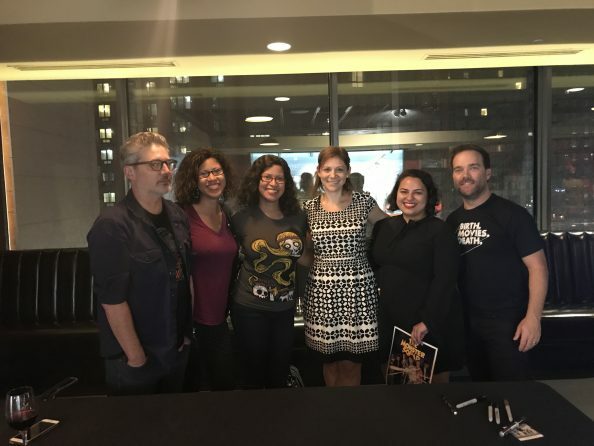 For the past few weeks, the stars of The Monster Squad have been touring Alamo Drafthouse locations throughout the country. Some of my Horror Flick Chick squad and I were able to grab tickets to the screening at the Downtown Brooklyn location. 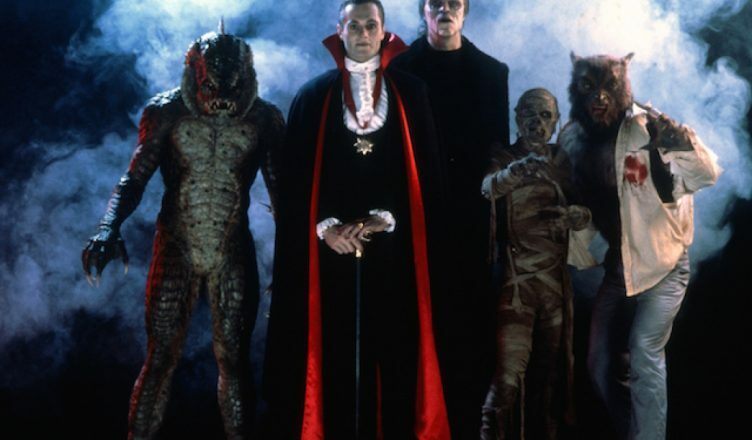 I hadn’t seen The Monster Squad in a few years so I knew this was going to be fun…to finally see it on the big screen! And it was! so much fun! Nostalgia to the 10th power! The stars of The Monster Quad, Andre Gower (Sean), Ryan Lambert (Rudy) and Ashley Bank (Phoebe), were all there at the opening to introduce the movie and they were cool enough to speak a little about the tour. Then… the movie starts. As soon as the title pops on screen the crowd cheers! After, the audience is quiet, except for laughs during the funny moments, and cheers during the classic lines/scenes in the movie. If you’ve never seen The Monster Squad, shame on you. But I’ll cut you some slack because I know you will see it after you read this. Right? RIGHT? To give you a taste of what this gem from 1987 is about… the film centers on 12 year old Sean Crenshaw (Gower) and his buddies who are die hard monster fanatics. They have to put their monster knowledge to the test when they have to battle the forces of Dracula, Frankenstein’s monster, the creature from the black lagoon, a werewolf and the mummy. After the screening the theater erupted with cheers! I really loved that not only were there die hard fans in the audience but there were also some who had never seen the film. Some fans even brought their kids to see the movie for the first time. A whole new generation getting to know the Squad. The cast came back into the theater for a Q & A. They answered everyone’s questions and talked about their time embarking on this anniversary tour as well as their time working on the film. They also spoke about how a certain young adult movie in the same genre at that time got more acclaim. Which was deserved. The Goonies was an awesome adventure of a movie. 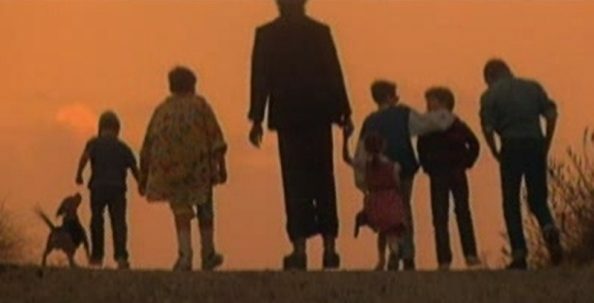 But, The Monster Squad, was a gem in its own right. Although initially the film did not do great at the box office, there is a reason why 30 years later, Alamo Drafthouse hosted an anniversary tour. The Monster Squad is a cult classic. Point blank period. There is a massive fan base. Alamo knows it. The actors and the director know it too. During the Q & A it was plain to see a camera crew floating around, filming the ‘squad’ and the crowd. Andre Gower announced that there is a documentary being filmed (hence the film crew). 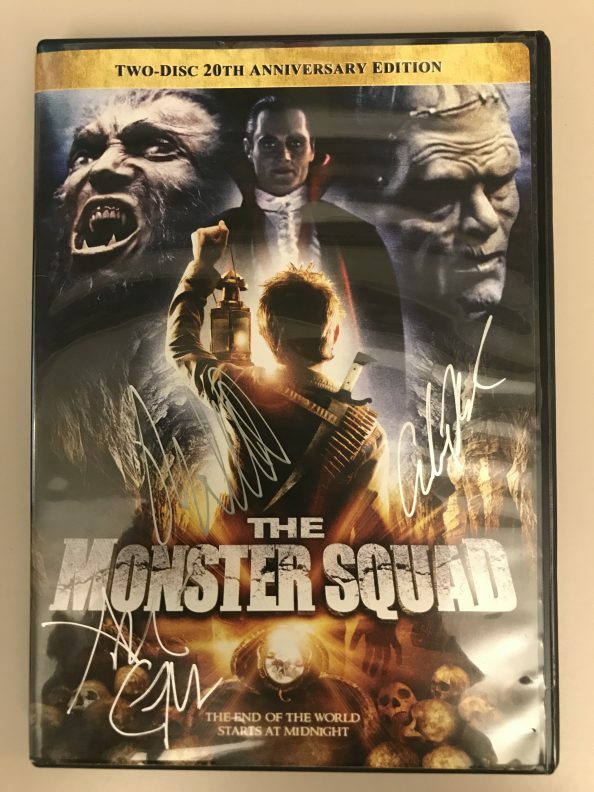 The documentary is for and about the fans of The Monster Squad. That’s how much the actors appreciate us! Their actions show it as well. 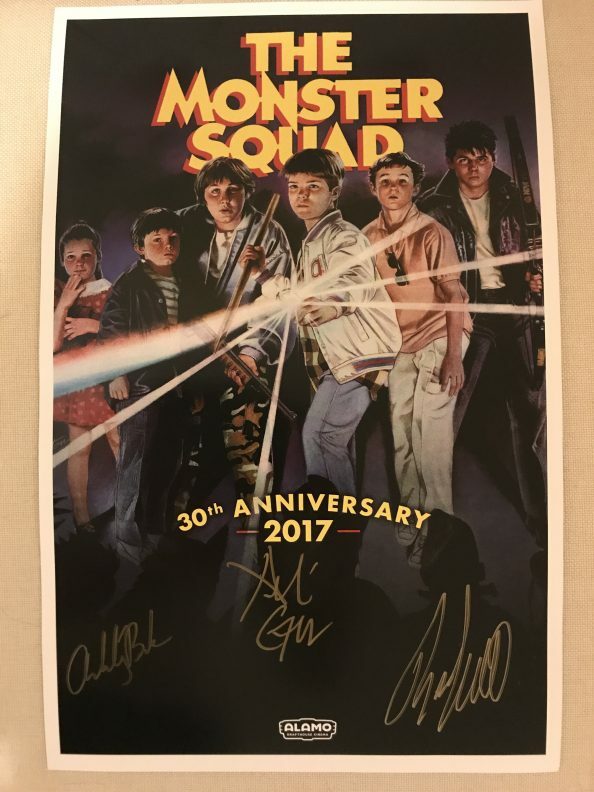 The crowd left the theater and were each given a signed poster of the squad. A gift for attending the screening. Everyone proceeded down to the lobby where Gower, Lambert and Bank stationed themselves to take photos with everyone and sign autographs. They were the most humble group of people. They spoke to everyone. Fans were telling them their Monster Squad stories and memories of growing up watching the film. And they listened. They even directed some of the fans over to where the film crew was so they could document their stories for the documentary. Some fans, me included brought in some squad memorabilia to sign. From t-shirts to teddy bears to DVDs. I brought my 2-disk 20th Anniversary Edition of the movie and they signed both the sleeve AND the insert that was included! I can’t say enough how much I loved this experience. 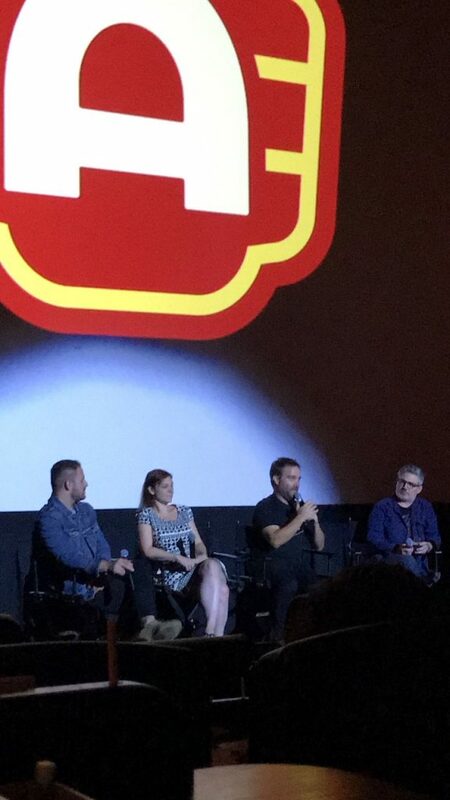 Some of the most fun I’ve had at a screening in a long time. The squad and Alamo Drafthouse did an excellent job setting up this tour. It was perfect. If you’re interested in this squad doc that is being filmed, look out for it in 2018 and follow them at The Squad Doc (@thesquaddoc) on Instagram!